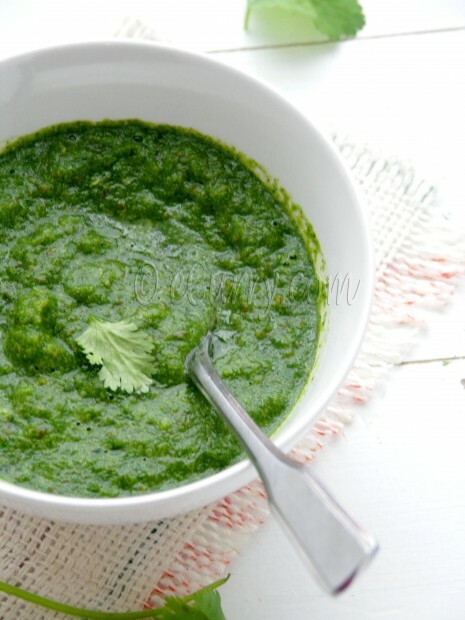 In its basic bare bone form, green chutney is a blend of coriander, mint, chilies and lemon juice with different spices used in different homes and regions of the country. It is a popular condiment in India and is mostly enjoyed with snacks like samosa, pakoras (deep fried fritters), chaat, with grilled meat, as spreads in wraps and rolls and also as a side during meal times. This is an extremely versatile condiment and allows you to do whatever you want with it. I often use this as a base sauce for my curries, esp. for meat/chicken and fish. It works wonderfully as a marinade too. Remove the tough stalks of the fresh herbs. Blend/puree all ingredients above (or only the ones you are using, if you are not using the optional ingredients) to a smooth consistency. Serve as condiment, dip or spread. Stored in an airtight container, the chutney will stay good in the refrigerator for up to a week. The extra may also be frozen. 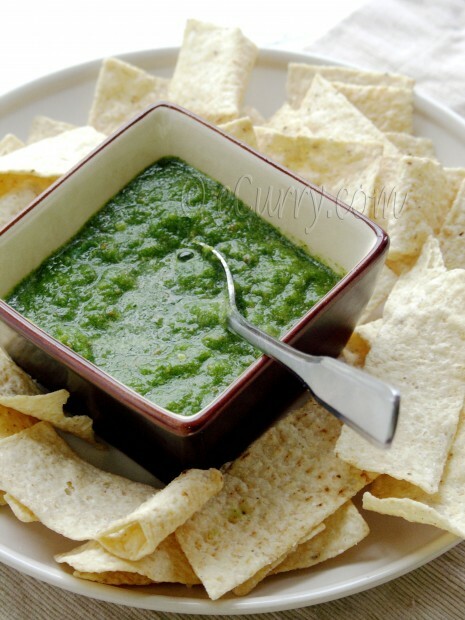 The frozen chutney usually changes to a deeper green color, but there is no change of taste. Thaw and use the chutney. Hello. I love the picture and the recipe too. But i have a question for you. I can freeze this chutney? I want to make more, but i cant eat often so i decide to freeze. But i dont want to breake’it if i cant freeze. I wait your reply….. Thank you very much! yes this chutney can be frozen for later use. 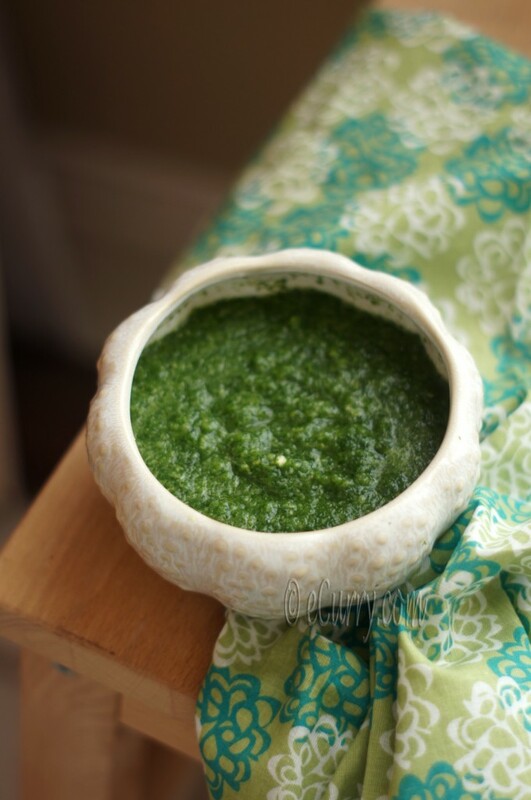 I’ve been looking for an Indian chutney recipe and this one sounds perfect. Thank you for sharing! i love this chutney! great for simple veggie sandwiches. Add peanuts to it. Believe me,I speak from experience! grind it, it will last longer in the frig. You mean fry the fresh ingredients? This chutney is never done that way. The freshness is the key here and we usually make it right away when we need it!